Check out this simple crab salad recipe perfect to make from your crabbing catch. Remember though, you do need to cook your crabs before stripping the meat from them. Allow the cooked meat to cool in your fridge before proceeding with this recipe. 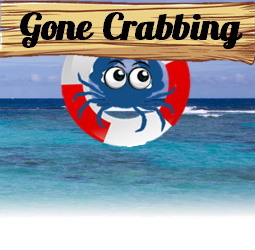 For most people, removing the all that crab me is super time-consuming and tedious task. Instead, you can just buy lump crab meat for this recipe. This recipe is ideal for a quick bite. You can put it between two toasted slices of bread to make a sandwich or halve an avocado and filled the halves with the crab salad. Enjoy! Combine all ingredients in a mixing bowl and stir until a homogeneous mixture has been obtained. Easy!